Looks bulky, but DAMN does it look good. Its not really that big, I got the chance to examine it about 2 months ago. Yeah it does hit back hard, I've seen a guy shoot it IRL, and wow. But they say its accuracy is extremely good. I see a dog Dead it seems the soldier might have used it as a moving target to try out his new gun. That's just sleeping. We have plenty of stray dogs in Turkey just chilling everywhere. I can see how the environment has a big impact on the psychological choice of weapons for each country. In the West we fight in Urban areas and favor light compact rifles, while the Turks fight over distances on mountains and favor more durable long range powerful rifles. 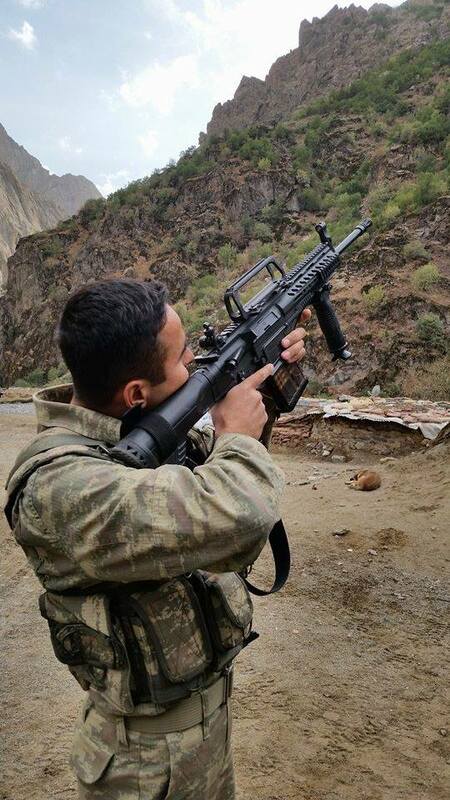 Turkish army seems to love the 7.62x51. New Turkish weapon... Looking good! The G3 is slowly being replaced with the superior MPT-76.